Sumatran tiger siblings Cinta and Jalur celebrated reaching middle-age by unwrapping some tasty treats. 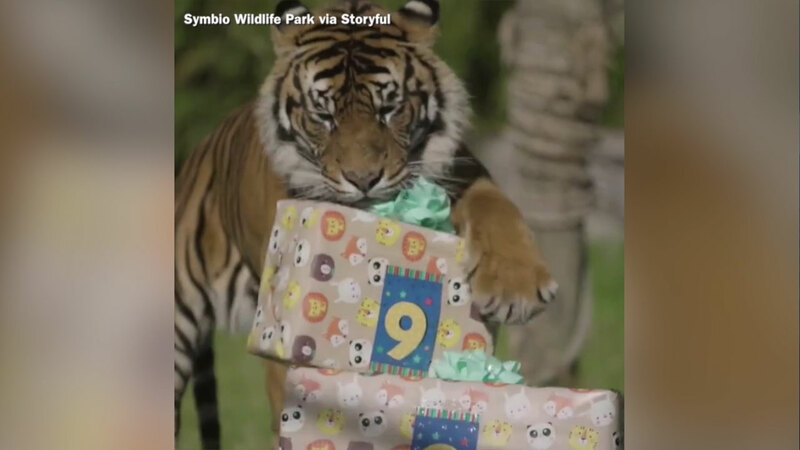 Sumatran tiger siblings Cinta and Jular celebrated reaching middle-age on June 12 by unwrapping cake-shaped meat treats for their ninth birthday. The tiger siblings are two of the few hundred Sumatran tigers alive today and are part of a critically endangered species. The average lifespan of the Sumatran tigers is about 15 to 25 years.